Clothing/Jewelry Description A black t-shirt, a black leather jacket and blue jeans. Distinguishing Characteristics Caucasian female. Light brown hair, blue eyes. Tammy's maiden name is Hensdill. She has a splenectomy scar on her abdomen. Tammy was last seen on June 2, 1987, when her parents dropped her off at her trailer home in Stanaford, West Virginia at 3:00 a.m. Her husband of eighteen months, Ronald "Gene" Daniel, was asleep inside at the time and the door was locked. Tammy's mother offered to knock on the windows to wake Gene up so he could let Tammy inside, but Tammy said no. She said she would sleep in the tent in the front yard instead. Tammy's parents drove away, but after a short distance, her mother made her father turn around and go back because she didn't want to leave Tammy asleep in the yard. When they arrived, they heard what sounded like a door closing, and they looked around the yard and couldn't find Tammy, so they assumed Gene had woken up and let her in. They left and never saw their daughter again. The next day, Tammy's parents went back to her home and she was gone. Gene said he had asked he to leave and he didn't know where she was. Four days later, when no one had heard from Tammy, her parents reported her missing. Gene borrowed a vacuum cleaner from a neighbor on June 5, three days after Tammy's disappearance. When he returned it, it had a foul smell and there was sticky substance on it. The police took the vacuum for testing and determined it was bloodstained and the blood was Tammy's type. When they searched the Daniel home, they found a stain on the bedroom carpet and possible blood on the carpet padding and the floor underneath. Gene has always maintained his innocence in Tammy's disappearance and said he thought she left of her own accord. In January 1989, he was convicted of murdering another man in a July 1988 shooting. He admitted to the shooting but claimed self-defense at trial. He served a prison sentence and has been released. 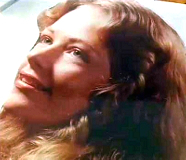 Gene was indicted for Tammy's murder in the 1990s. The indictment was dismissed for lack of evidence, however. Tammy has never been found, but foul play is suspected in her case due to the circumstances involved. Updated 4 times since October 12, 2004. Last updated March 5, 2018; details of disappearance updated.